As the roads become ever more congested, the chances that you may be in a car accident increase. With the pace of our modern society and so much external stimuli vying for our attention, just commuting to work or picking up the kids from school puts you at risk of being involved in an accident that leaves you with serious injuries. While you may take every precaution and practice safe and effective driving techniques, you can’t control the actions of others. 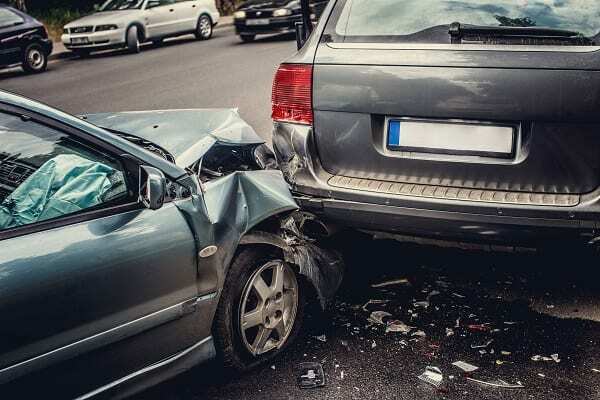 If you’ve been hurt by the negligence of another, our car accident attorneys at Long & Long Attorneys at Law have the knowledge and experience to get you the compensation you deserve. If you or a loved one has been involved in a car wreck caused by a careless driver, contact our Mobile auto accident attorneys today at (877)-336-0076 to schedule your free consultation. We proudly serve those who live in and near Mobile, Alabama. First 24 hours. After your accident, it is in your best interests to contact your insurance company as soon as you can. Most insurers have rules in place that require “as soon as possible” accident reporting. Otherwise, you could lose your right to coverage. First week. The first week after your car accident can involve numerous phone calls, communications with insurers, and crash investigations. Contact a lawyer whenever you’re ready to hand over these tasks to an experienced professional. You can retain an attorney as early as you want in the car accident claims process. First 30 days. In Alabama, you have 30 days to report your car accident to the state Department of Public Safety if it caused injuries, deaths, or property damage exceeding $250. If you called the police after your crash, the officer may have filed for you. First six months. In the weeks or months following your insurance claim, the insurer may enter into settlement negotiations with you. These negotiations may take time depending on each party’s goals for the case. A lawyer can help expedite the settlement process. First two years. If the insurance company isn’t offering an adequate settlement, you have two years from the date of your accident to file a personal injury claim. A personal injury lawsuit could result in greater compensation for your crash-related damages. The exact settlement process and timeline for your case will depend on many different factors. The average car accident settlement takes three months or less. However, your case could go much longer depending on the situation. The only way to get a completely accurate picture of what to expect is by working with a qualified Alabama car collision attorney. Alabama is a fault-based auto insurance state. This means that after a car accident, victims must seek damage recovery from the at-fault party’s insurance company. Anyone involved in an auto accident must remain on the scene, offer assistance, and call 911 to report the wreck if it caused serious property damage or any personal injuries. Fleeing the scene could lead to a criminal hit-and-run charge and related fines or jail time. Once you file a car insurance claim, you have the right to seek additional compensation through a personal injury lawsuit if a negligent or careless party (such as a distracted or drunk driver) caused your accident. According to the state’s “contributory negligence” law, you might not receive any damages if you were even 1% responsible for causing the accident. Hiring an experienced auto accident lawyer right away can help you reduce your liability and maximize recovery. Car accident injuries can range from minor cuts and bruises to the more serious injuries of paralysis and head trauma that have lasting effects and even cause death. On top of the horrible experience of a car accident, Mobile residents can suffer emotional damage that may supersede the physical damage to the car and your body. Whiplash is the most common neck injury sustained in automobile accidents and accounts for more than one million back injuries annually. Whiplash happens when a sudden acceleration-deceleration force occurs, most often in rear-end collisions. Due to the debilitating pain that can limit your movement, these types of auto accident injuries usually require long-term treatment that involves physical therapy, medication, bed rest and/or surgery. Hitting another vehicle, bicyclist, or pedestrian and taking off is illegal in Alabama. Unfortunately, hundreds of drivers do just this in the hope of escaping liability. Hit-and-run drivers could be guilty of gross negligence and a criminal offense – especially if their failure to stop to help contribute to the death of a victim. Victims may be able to recover compensation through their own insurance companies if police cannot find the at-fault driver. Rear-end collisions can occur when the second driver is speeding, following too closely, tailgating, or driving distracted. They can also happen if the first driver “brake-checks” the second driver or does not have working brake lights. Whiplash is a common rear-end collision injury that can happen even in minor “fender benders.” The second driver is almost always liable for rear-end collisions. SUVs are more prone to rollovers than other vehicles due to a higher center of gravity. This can sometimes stem from a vehicle design flaw, pointing to manufacturing company liability. A manufacturing company could also be accountable if a defective tire blows out, causing a rollover. A rollover can also be the result of striking a pothole or piece of debris in the road. The city of Mobile could be responsible for roadway-related rollovers. A side-swipe accident can occur when one vehicle merges in front of another vehicle, loses control and collides with the vehicle in the neighboring lane, or strikes the sides of vehicles parked on the side of the road. It is the duty of the driver to pay attention to his/her surroundings, to merge safely, and to follow the right-of-way rules to prevent side-swipes. Failure to do so, resulting in a collision, is negligence. Side-impact or T-bone accidents are some of the deadliest collisions on the road. They happen when the front of one vehicle strikes the side of another vehicle. T-bone accidents are most common at intersections when a driver speeds through a red light or stop sign and collides with a vehicle in the intersection. They can also occur when a vehicle makes a left turn in front of oncoming traffic. Another deadly type of crash is a head-on collision, where the front ends of two vehicles hit in opposite directions. A driver going the wrong way, losing control of a vehicle, or driving drunk could cause a head-on collision, as can slippery or icy roadways. In a head-on collision, the velocity of the impact is equal to the speeds of both vehicles combined. Injuries in a head-on collision can be catastrophic, permanent, and life-threatening. They can include burns, head/brain injuries, and spinal cord injuries. These are some of the most common types of auto accidents. Our law firm represents victims involved in truck, motorcycle, bicycle, and pedestrian accidents of all kinds in Mobile. If you don’t know your accident type, we can help. We’ll get copies of police reports and investigations to help you understand how your crash occurred. We can also speak to eyewitnesses and interview crash experts, if necessary. Once we identify your crash type, we can move on to identifying the at-fault party or parties and work on securing the financial compensation you deserve. As a safe and conscientious driver, you can follow all the rules of the road but still be involved in a wreck that can have traumatic lifelong repercussions. You may take every precaution but you cannot account for the carelessness of another. Car accidents remain a common, everyday occurrence and at some point in our lifetime, we may all have at least one serious car accident. Driver fatigue: Drowsy drivers account for about 100,000 accidents every year in the U.S.
As shown above, car accidents may arise from a variety of reasons, but a large number of them can oftentimes be attributed to distracted drivers. Even if someone has their hands on the wheel, they may be completely distracted by something else in the vehicle. According to recent studies, when someone is driving in a distracted state, they are just as likely to cause an accident as someone under the influence of alcohol. Get medical attention: It’s important that you see a doctor and get a medical report of your health immediately following an accident. Injuries may not become apparent weeks or months after the accident, making it much more difficult to receive the full amount of compensation for your injuries. Collect Information: Make sure you obtain as much information about the auto accident and all the people involved as possible. Get the names, driver’s license numbers, addresses, and phone numbers of all drivers and passengers involved, along with those of any witnesses. Also, make sure you get the license plate number, make and model, vehicle identification number, insurance company, and policy number of all the vehicles involved in the auto accident. Document the scene: Taking as many photos of the scene as possible can help with litigation when showing negligence and pursuing compensation. Contact the authorities: Many times, the police report can help your auto accident claim. The police report will show whom the police believe to be responsible for the accident. Don’t make any admissions: It’s important that you do not admit anything. Often, auto accident victims are confused after the accident and admit fault, even if it is not true. Admitting that you are responsible for the auto accident can severely inhibit your chances of recovering compensation, even if it is shown that you were not at fault. Don’t speak with insurance adjusters: Insurance adjusters are highly trained to keep from paying you for your injuries. Their job is to save the insurance company money, not to protect your rights. They may offer you a very small, quick settlement. Do not take this settlement before speaking to an experienced injury accident lawyer. Contact an auto accident attorney: Our experienced Mobile auto accident attorneys can help you determine if you are liable to file a lawsuit and can assist you in determining who’s at fault and will work with the insurance companies and other drivers to help you receive full compensation for your damages. Your car accident claim is an important consideration in how financially stable your future might be after a serious crash. Instead of facing expensive medical bills, lost wages, and the prospect of a long-term disability alone, hire an attorney to take care of legal matters for you while you focus on healing. Long & Long Attorneys at Law, can answer all your claim-related questions and concerns in Alabama. Start by scheduling a free consultation, where our injury lawyers will respond to your FAQs and offer legal counsel for free and at no obligation. Can I recover compensation even if the accident was partially my fault? Unfortunately, in Alabama, the rule of contributory negligence applies. This means that even if you are found to be only one percent responsible for your accident, you will not be permitted to recover compensation. This makes it even more crucial that you hire an experienced Alabama auto accident lawyer. Our accident lawyers will work hard to convince the insurance company— and a jury if necessary—that you have absolutely no responsibility for the accident. Can I handle my auto accident claim without a lawyer? Your auto accident lawyer will work with the other people involved in the auto accident, deal with insurance companies, obtain medical records, and handle all legal aspects of your claim. This will alleviate all the work you would normally have to deal with. You may be able to handle your auto accident claim without an auto accident lawyer, but you should know that the insurance companies’ own research shows that when a claim is handled by an attorney, the recovery is at least three times more. If you want to learn more about your rights and the factors that might affect your settlement, our experienced, knowledgeable attorneys at Long & Long will help you understand the many factors and laws that surround your case. Insurance companies have auto accident lawyers whose job is to make sure that the company settles claims for the least amount possible. Accepting a settlement can affect your rights to receive money from other applicable coverages, such as umbrella policies or underinsured motorist policies, something insurance company lawyers may not tell you. You deserve to have a lawyer on your side who will help ensure that the settlement you receive is just and appropriate to your needs. If you’ve been involved in a car accident that left you with damages or serious injuries, contact the Mobile auto accident attorneys at Long & Long Attorneys at Law today at (251) 432-2277 to schedule a complimentary consultation. If the accident was caused by the negligence of another then you may be entitled to compensation for your pain and suffering. Our experienced attorneys will fight to make sure you receive the justice you deserve. We proudly serve the area of Mobile, Alabama.